Gordy and the Pirate and the Circus Ringmaster and the Knight and the Major League Manager and the Western Marshal and the Astronaut; and a Remarkable Achievement. New York: G.P. Putnam's Sons, (1965). ￥10,000 (税込み) 22.2 x 17.3 cm. 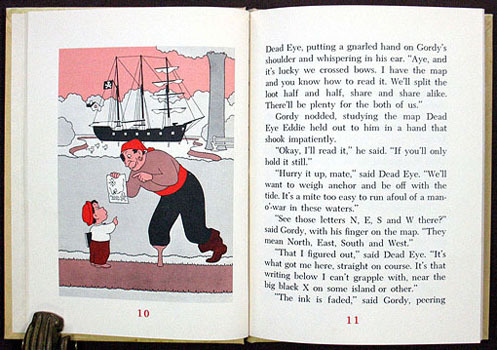 46, (2) pp., with many full-page color illustrations. Colorful pictorial boards, with original dust jacket, partly torn.